The issues that customers face are related to 'qualifying' for a housing loan and to the actual terms of borrowing. 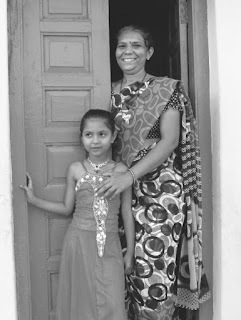 Entry barriers for home loans for this market segment, such as documentation, banking habits and income proof hinder mainstream housing finance companies and banks from lending to low income customers even though they are considered a “priority sector”. Based on the DBS experience, it is essential to invest in providing facilitating and handholding support for the customers. DBS established Griha Pravesh to provide such support and is actively promoting its use by other developers. People with incomes of up to Rs.20,000 per month end up paying almost twice the interest that higher income customer's pay and that too in half the time. Also they get much lower loan to value ratio. The risk perception is unduly high despite extremely positive experiences of Housing Finance Institutions (HFIs) and Micro Finance Institutions (MFIs) dealing with this sector. Given this situation, the margin money component becomes a big barrier for many low income customers who would otherwise make it through. People in this segment generally have very strong ties with their kith and kin, and helping each other is fundamental to their existence. Therefore joint families are not uncommon. However when a housing loan is given, HFIs still evaluate their credit worthiness in a very myopic manner owing to 'Guidelines of the Reserve Bank of India'. 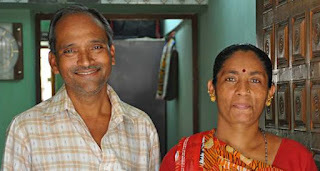 Thus, a family of 8 members having lived together for more than 10 years with a combined monthly income of Rs.22,000 is not eligible for a Rs.4,40,000 loan (given by 30% of monthly income as EMI), but will probably get a loan based on the incomes of the 'applicant and the co‐applicant'. Therefore their actual eligibility may come to about Rs.240,000, and a family that requires a minimum living space of about 500 sq.ft. can only afford a house of about 350 sq.ft. A majority of low income customers live in rented accommodation (even in informal settlements and slums) and find it difficult to pay both rent and pre‐EMI during the construction period. Therefore housing loans with a moratorium on interest during construction is desirable. In order to better understand the target community it aims to serve, ASHRAM and Griha Pravesh undertook a survey of 360 of the 500 customers of DBS's first project “Umang Lambha” in May 2011. The findings from the survey, which are important for the different entities involved in the affordable housing segment, are given below. 56% of the respondents earn Rs.20,000 or less per month and 27% earn between Rs.20,000 to Rs.30,000 per month. Since many households have more than one earner and/or comprise joint families, there is a possibility that some respondents only reported their own incomes. Thus, there may be some under reporting of the family income. 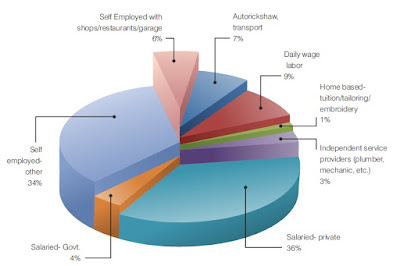 Of the 60% respondents who are self-employed or informally employed, 36% are self-employed, 6% have small shops/ stalls, 9% are daily-wage workers, 3% are independent service providers such as plumbers, electricians, mechanics etc., 7% are working as auto-rickshaw and bus drivers or conductors etc. and 1 % are home-based workers. 40% of the respondents are formally employed/ salaried (4% in Government and 36% in private employment). In an environment where the Government is aggressively promoting construction of 'basic' houses for slum dwellers and the poor under various schemes, the DBS Team decided on creating a unique image for the houses it builds. The aim was to establish the significant and differentiated presence of DBS in the market – both for the customers and the investors/ financing institutions. The DBS Team therefore decided to create a 'brand' identity that highlighted the management's strategic focus and choices, quality, features and design of the apartments, and the added value in terms of community development initiatives. Since, the long-term aim is to have customers who are satisfied with physical and operational functionality, quality, and performance of the schemes of DBS Communities, the Team decided on using the name “UMANG” - meaning Happiness. The name “Umang” draws attention to the emotional aspect and satisfaction customers would experience once they moved into DBS constructed housing projects.